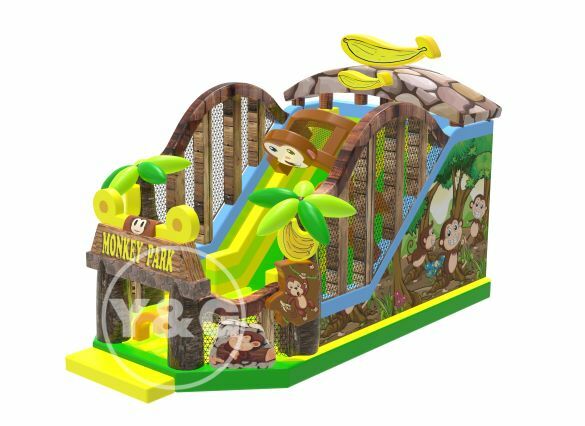 Inflatable Bounce House With Slides Combo are the best that you can buy and gift your kids for their birthdays or any such good occasions if you have space for the same in your compound. We have many different designs for you to choose from. It is good that you make the best use of them and choose what is most suitable for you. Try to choose what is most suitable for you. Inflatable bounce house water slide combo can be suitable for the better that can get with that is suitable for you. When you get what can be most suitable for you, then things can work in finest way. Try to choose the water slide bounce house so that try to get that in the better way. You should get what can be best so that things can be better for things to workout well. 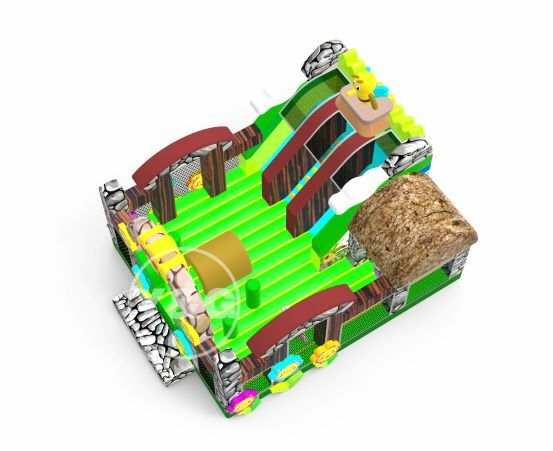 It is the kind of bouncing castle that has got inflated size of 5 meters length, 5 meters width and 3.5m of height. It is something that is powered by the strong blower. The puncture proof materials of heavy duty is available with double to the quadruple stitches. 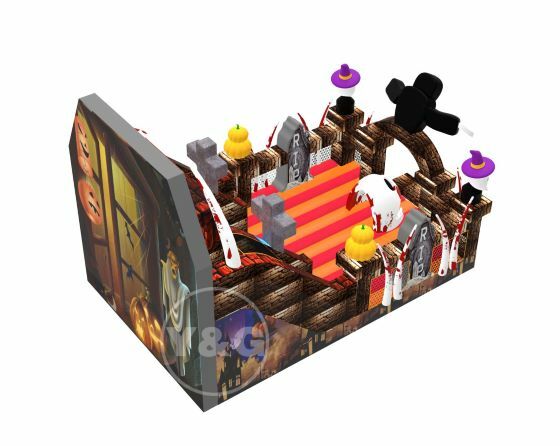 It has got longer fill tubes which can be placed much away from bounce houses. It can be set up easily and can be taken down. Inflates in much lesser than a minute. 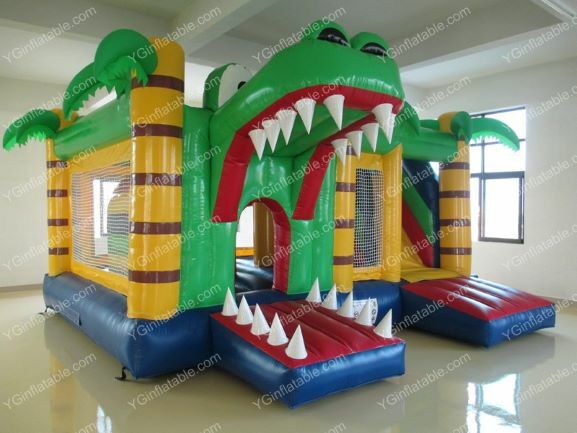 It has got one slides with different levels that can fit the elder as well as younger kids.With this “Crocodile Inflatable Bounce House With Slides Combo”, it's sure to give your kids a good holiday.